Welcome to The Cherry On Top, Super Scrappers. I've got some nifty new goodies in the Kreative Design Studio. Take a look at what's new. 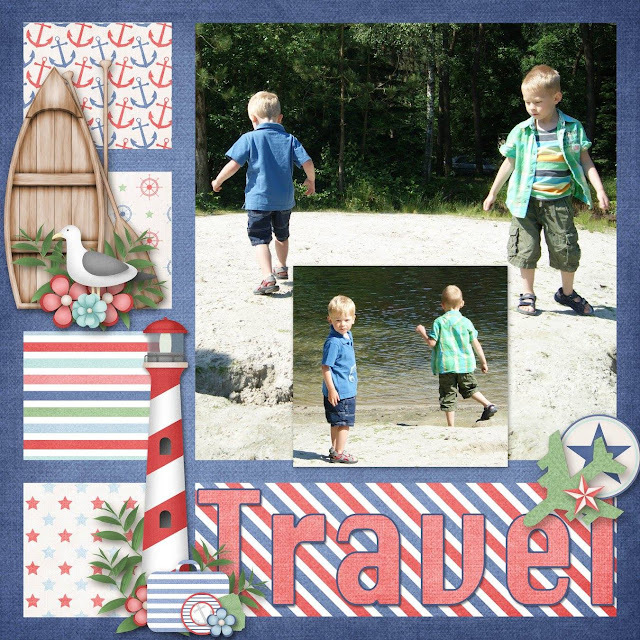 Of course, the blog is full of scrapbooking inspiration and you're favourite and mine, free stuff as usual. I'm so glad you decided to stop in for a peek! 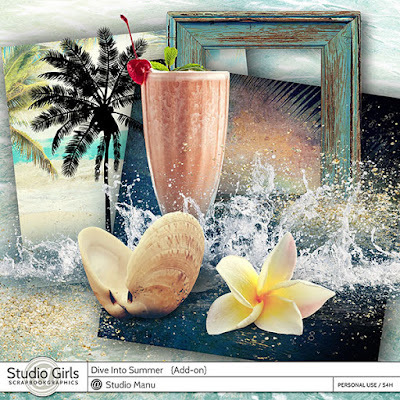 The last thing my digital scrapbooking stash needed was a MEGA injection of Commercial Use products, but I could NOT resist Design Cuts awesome bundle deal. These furry babies HAD to be mine. Hehehe... I've always wanted my own stationary and now I've got it and I'm sharing the design in the shop as well. You'll receive everything you see in the first preview in both jpg (with a background) as well as in png version (without a background) so you may customise your look. With both formats, you'll be able to design posters and business cards. I like leaving the background white so that printing doesn't become a huge cost and the file sizes stay smaller as well. The poster and card in the above example are just that. Examples. You'll have to insert your own quotes and of course, you can use these sentiments, too. 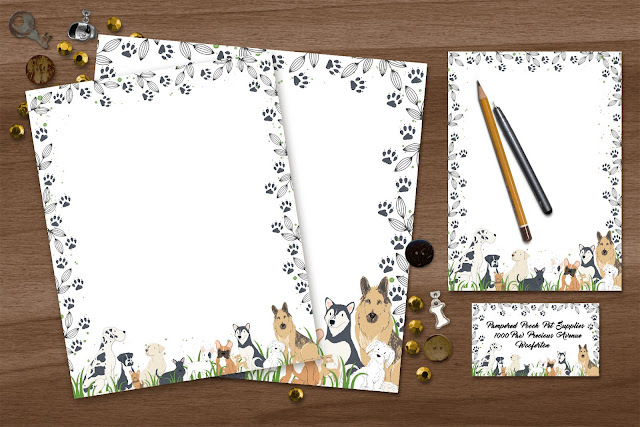 Some other goodies in the shop are these new templates. I've left nearly all layers un merged so they are very flexible. Check out what I and Magalie have designed with them. 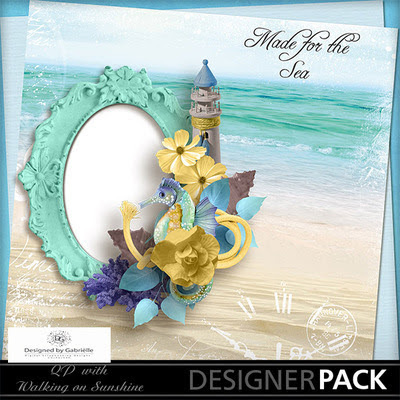 On The Outside Templates are just 1,99! 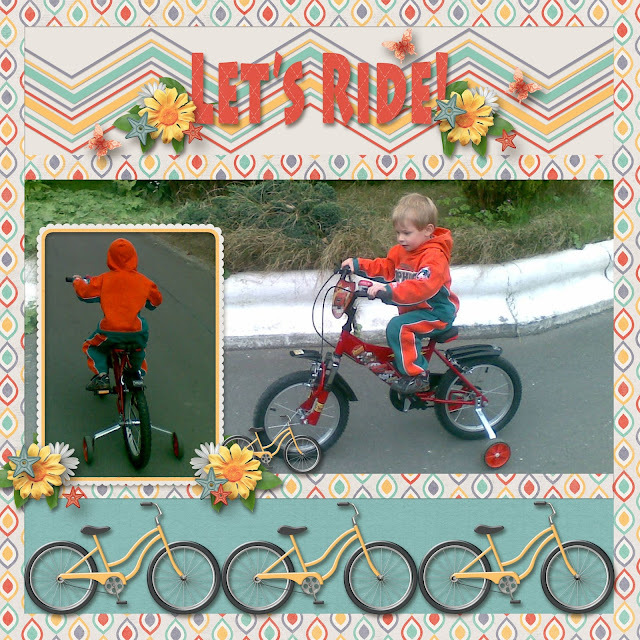 I used a FREE KIT from Penny Springman for this pretty page of my biggest riding his bike. Use the template as a guide and get inspired. My boys are enjoying the gorgeous weather here in Germany. Well, last week. This week is nothing but rain so far and it's chilly. These colours and photos are warming me up already. Sticking with Aimee Harrison, this is freebie I showed off last time. You can find it on her Facebook page. Look in the left margin for the freebie word and click. It's just stunning. Look at that bridge...and then walk away. Hehehe...I was the only one who thought it best to stay with the dog. Hehehe...Uh, no way! Not me! 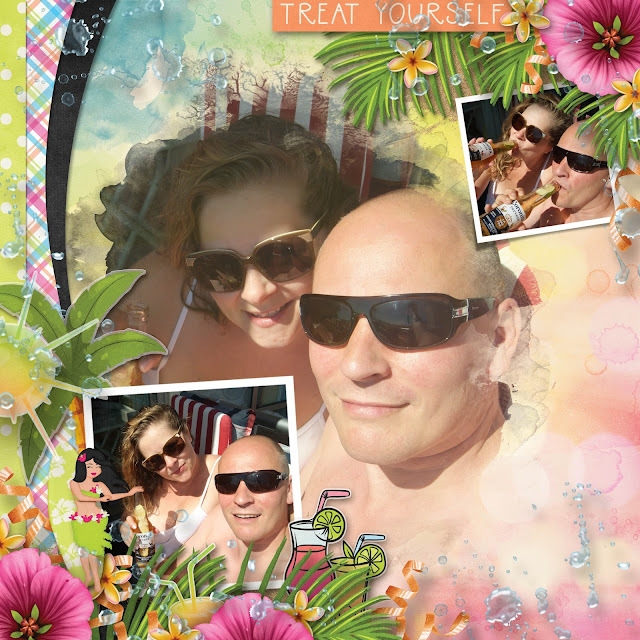 This awesome template is a new one from Lissy Kay Designs. She's got a bunch of new templates in the shop. 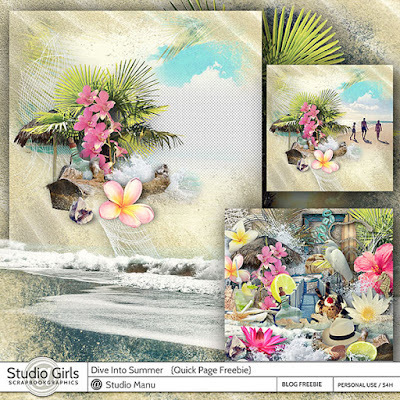 You will certainly want to add these to your stash of digital templates. 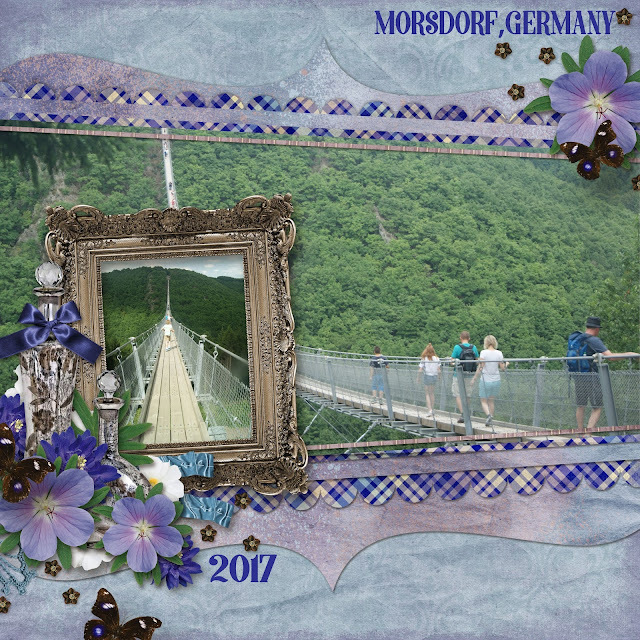 Here's another example of Lissy's new template from Bohemian #2. These are drawings from my youngest. He's got pages and pages of these "cards" he designs with disown creatures styled a bit like Pokemon in the card fashion. His brain is continuously working on these cards in place of listening and observing the other things in life. 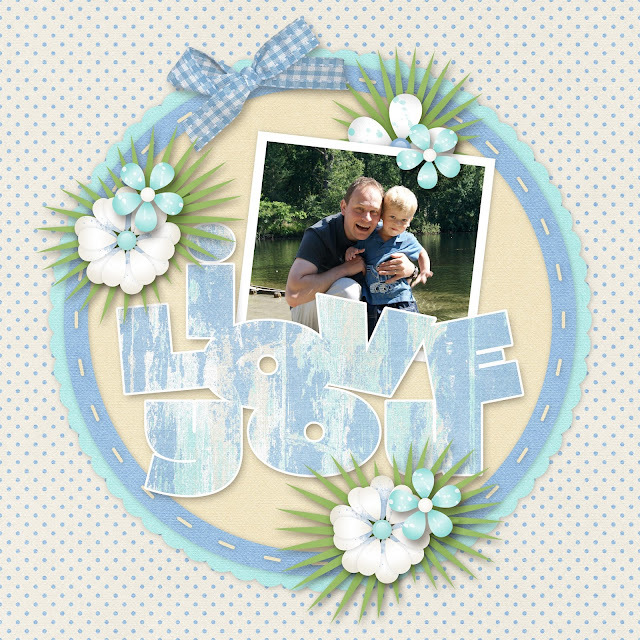 And another page with Lissy's new templates and Throwing Some Scraps Around, Looking Back kit. Isn't it fabulous? I'm digging the pop of glitter, too. I took it away, but had to add it back again. It was missing the bling. Things have been changed quite a bit for this summer, but in September we'll be going back to our regularly scheduled program of Traditional Tuesday, Freebie Friday and Hybrid Saturday's. Thanks so much for stopping by The Cherry! 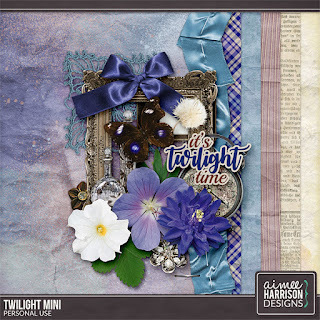 Our next blog will have some sweet freebies to add to your stash, more inspiration from Lissy Kay, Aimee Harrison, MagsGraphics and Throwing Some Scraps Around as well as a few ideas on how to change up your templates. As you may have read, I'm blogging only once a week this summer with some surprise pop ups here and there. My connection in our vacation house makes uploading a nightmare. Like 1990's slow. Ugh! Hehehe... Our other social spots are still hopping, though. 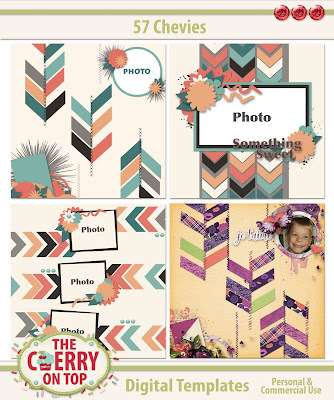 Make sure you're following us and keeping up with all of this scrapbooking goodness and freebies. 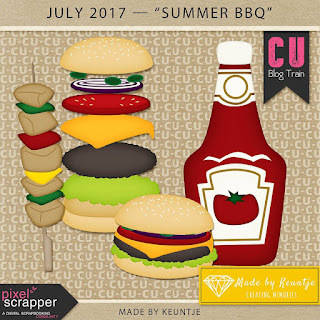 I've got another blog full of scrapbooking inspiration and links to all kinds of different freebies, too. I just posted several on our Facebook Page along with some activities to keep the kids busy this summer. My guys love all of those mix and mash and make something cool like play dough, slime, silly putty...We've got a board dedicated to keeping the kids free from boredom which makes life a lot easier for you. Check it out, today! 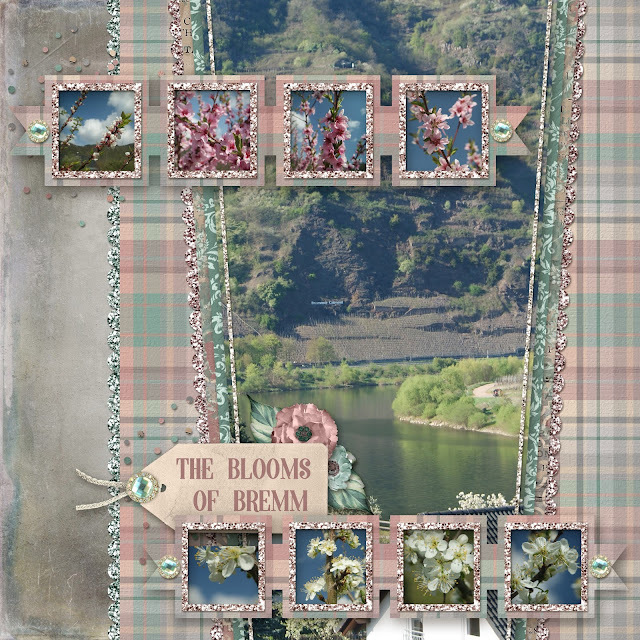 Designers we're checking out today are, Made By Keuntje, Throwing Some Scraps Around, Aimee Harrison, LouCee Creations, Heartstrings Scrap Art and Party Greif Digital Designer. 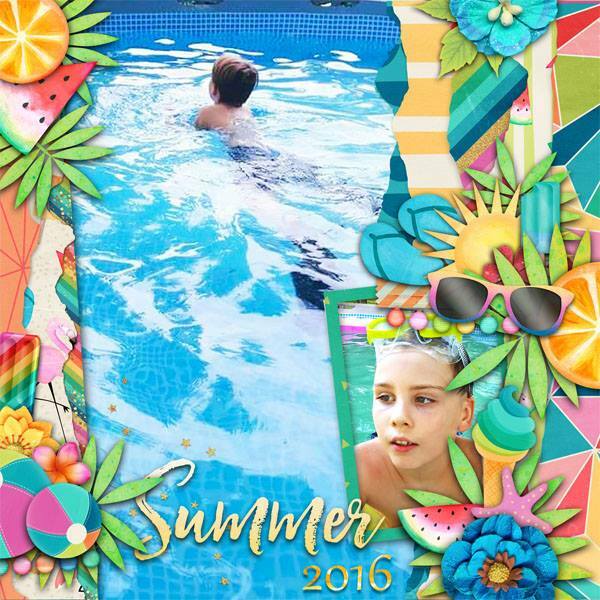 Summer fun is in store with bright, fabulous colours, splish splashing, outdoor adventure and well...see for yourself! I thought Dana's Starbursts templates matched perfect with this kit. Layer it up, add some fun splatter and by all means a flamingo. They are all of the rage this season. I'm digging that for a few reasons. Kits and collections don't always consider supplying a nice selection of varying shapes and sizes and flamingo are that nice long and tall shape that a lot of designers forget to put in kits. Tip: The ever handy and ever present stitch and ribbons is a good replacement, though. I did a double pager with multiple photos, several times with this terrific kit. Here's my second page using a template from Heartstrings Scrap Art. Tip: Masks are so great to use. Especially, if you have zero blending skills like myself. Oh, look! 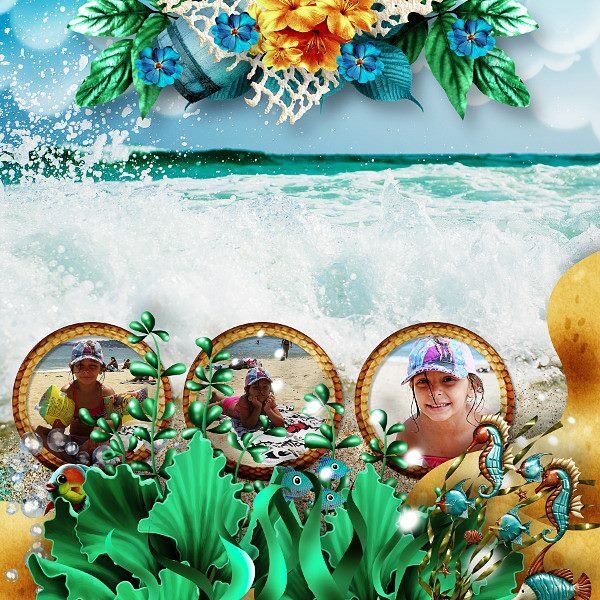 Another double pager with Tropical Escape and I used two, new templates from Throwing Some Scraps Around. They are so gorgeous and versatile. Take a look how I used them in the next two pages. I actually took the cutout paper from one template and replaced the other cut out on another template because I liked it so much. I SO LOVE this page, too. See how I used different papers behind each flower? Lends a lot more colour to my page as well as interest. I often blog about the different way to change up templates and I'll confess again that I sometimes delete nearly everything on a template and use it more as a sketch. Something to just get me started. Actually, the only thing from this particular template that I kept the same, were the photo spots. I even matted them to bring out more colourful rainbow fun. This was the cut out paper I took from the template above. You just gotta love the flexibility of templates. Made By Keuntje has a Fan Group on Facebook. 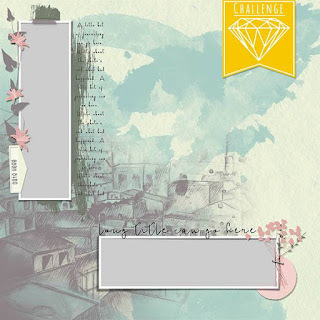 There you can show off your beautiful pages, participate in monthly challenges and grab freebies, my favourite! Here's July's challenge, free template. This is the page that started the photo reel rage. 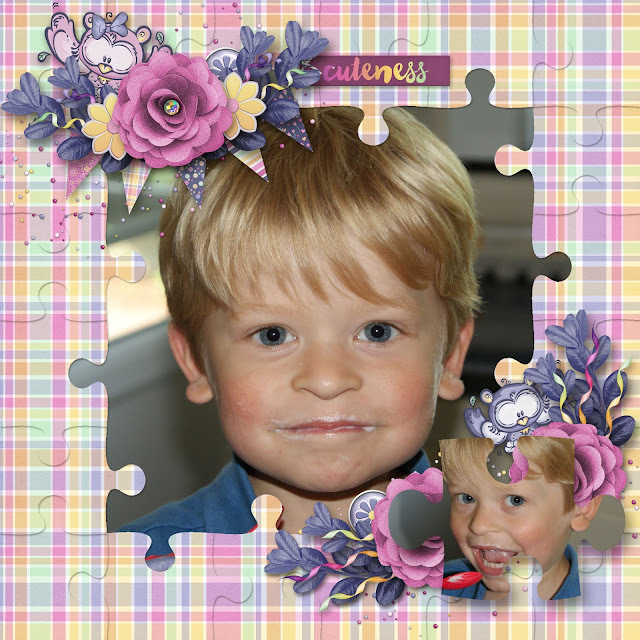 I designed several templates that you can purchase in our shop, but this particular page is a Lissy kay Template. 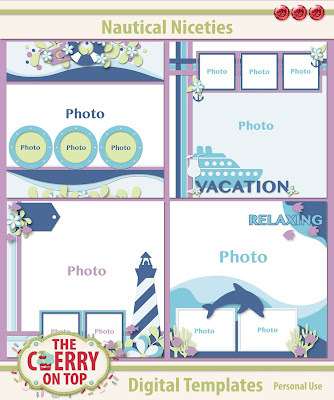 She's got a lot of awesome full template pages using photo reels. See what I mean about that natural touch? 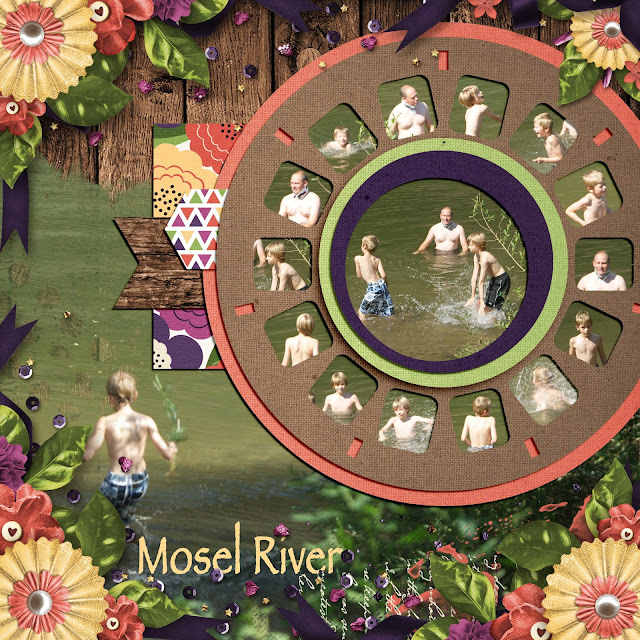 Tip: Photo reels are mega awesome when it comes to getting multiple photos on one page. SIXTEEN pictures are on this one page. Photo reels are also great when your photos are not. Hehehe...Tip: You can use one photo and just crop the person or image you want over and over. 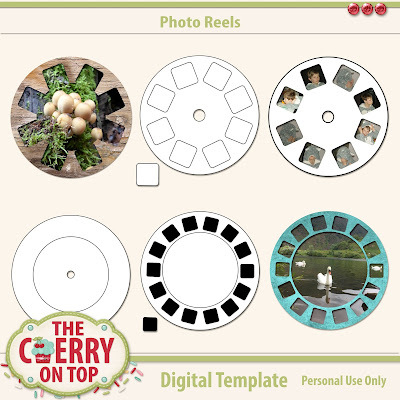 I've got several blogs dedicated to photo reel templates. 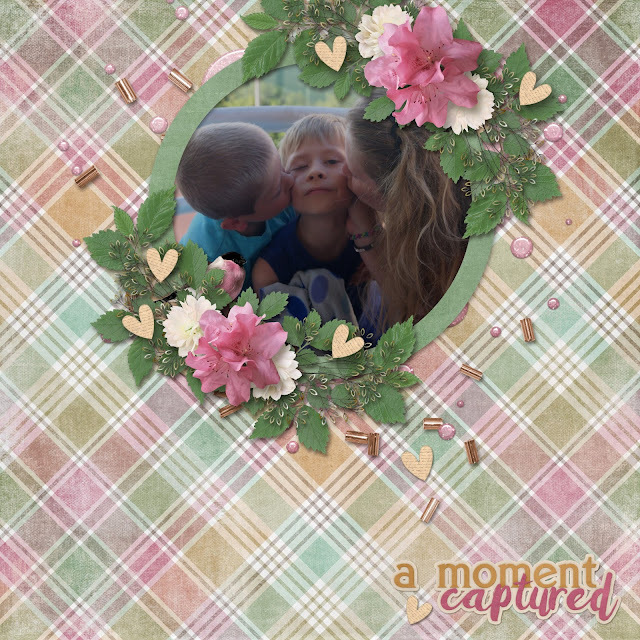 Check out this one where I used my templates to design a mini FULL of photos. Here is a tutorial and a free example so you can try it out. Here, I scrapped with photo reels, traditionally. There are several tutorials on these blogs. Here's MBK's XOXO on another page using our 57 Chevies templates. On to LouCee Creations newest collection, Pool Party. The colour palette is much more extensive then what I used here. Tip: If you are ever overwhelmed by a kit or collections extensive colour palette, pull out the ones that work for you and your page. 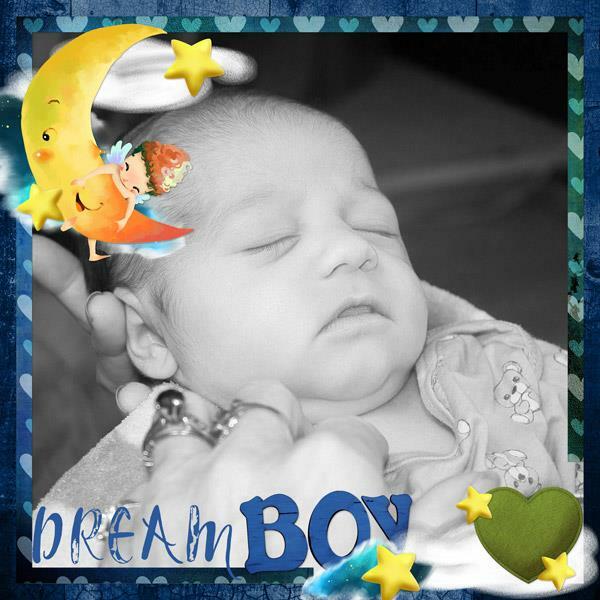 I used a free template from our blog roll, Love For Layout Templates. Aimee Harrison Designs has another lovely collection out with coordinating templates, Heirloom Chic. 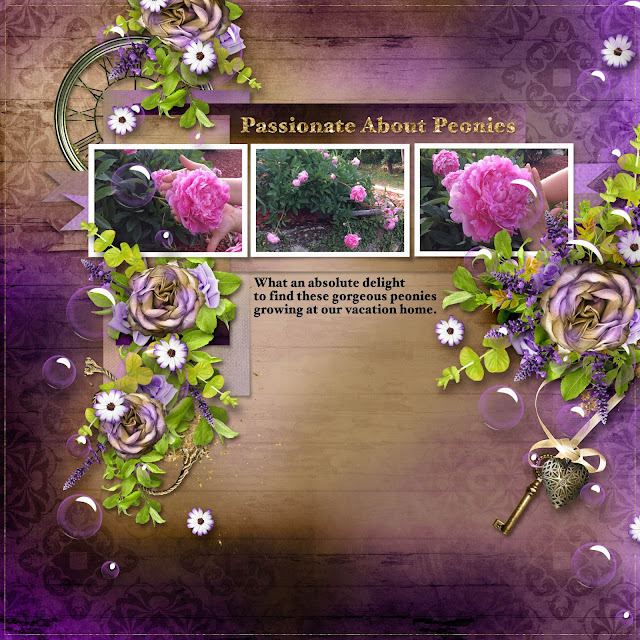 I used June's free template from Alexis Design Studio for my page and Aimee's Heirloom Chic. You can get July's free template, still. As you may know, Aimee loves freebies almost as I do. She has them on her Facebook Page, blog, newsletter and often lets me host them here, too. Enjoy this free cluster and consider following Aimee on her social spots where you can get even more freebies. 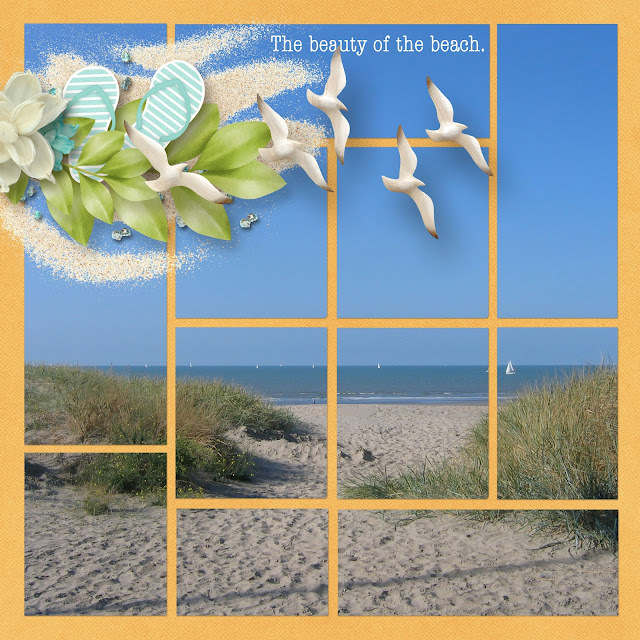 Sticking with Aimee Harrison and going back to her gorgeous collection with Heartstrings Scrap Art, At The Sea Side. 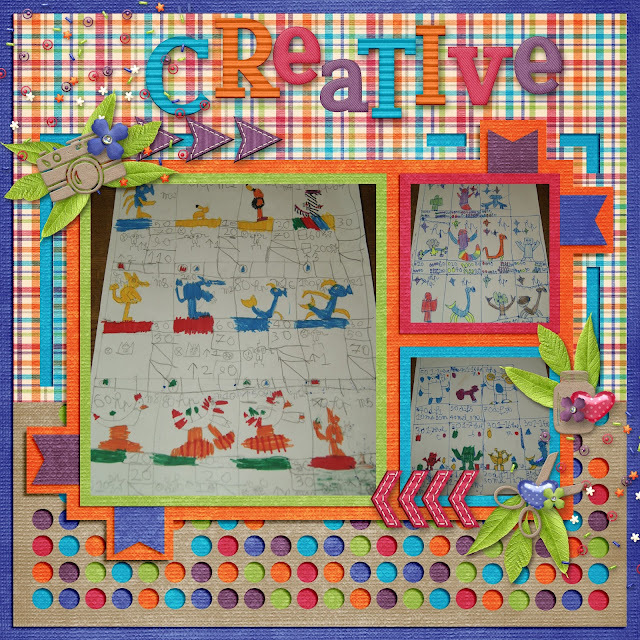 I just LOVE this collection, including Bryony's lovely templates. These pics at the beach are just splendid. I decided to crop in my photo of the beach in my title. 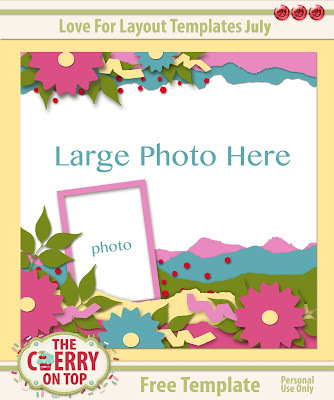 I used another one of Bryony's templates, A Little Bit Arty and matched it up with Feli's new kit, My Dream Garden. These were such an awesome surprise to see when we visited our vacation home in Germany. I didn't know what they were until a friend posted a picture of her peonies. I have two fabulous bushes. The flowers were enormous! Here's a view from the house, over the river and onto the mountains where the wine grows. A nifty little house boat was passing when we took the shot. Cool, eh?! This pic was taken in the spring and now this view is so lush and gorgeous. It was a neat treat working with Feli's kit. I have a lot of Feli's Commercial Use in my digital stash and it's always so splendid to work with. How could I possibly resist all of this purple? I've got another freebie for you, today. Our monthly calendars are a hit. Use them as your desktop or print them out. As always, Throwing Some Scraps Around is supplying the goodies to design these lovely calendars. Check out Jodi's membership plan and follow her social places to keep up with her new releases and gorgeous goodies. 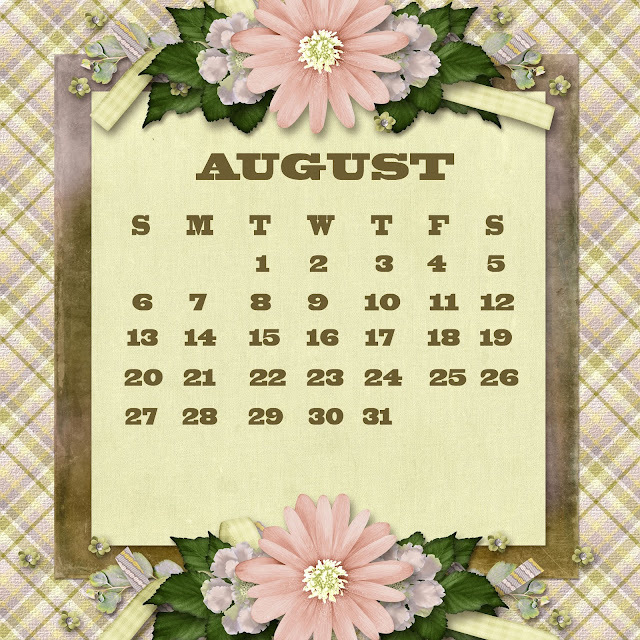 Right click to download your desk top calendar and remember all of our freebies are for Personal Use Only. This was last weeks freebie featuring Paty Greif's newest collection which is taking longer than expected to hit her shop. 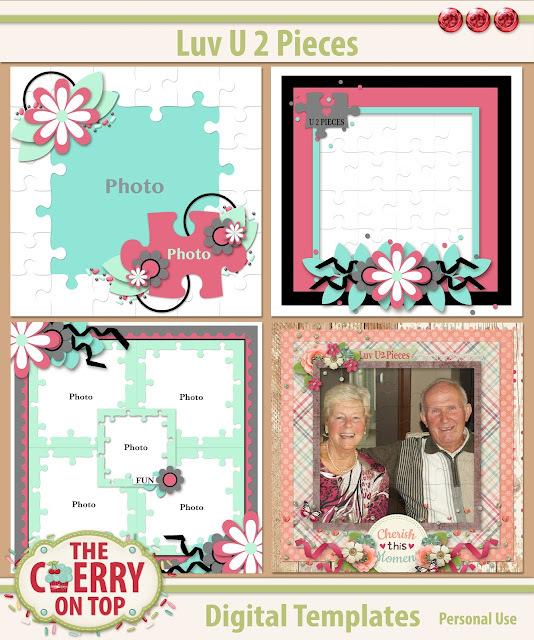 Download the free template and wait until that kit is released. Keep in touch with us and we'll let ya know when that is. 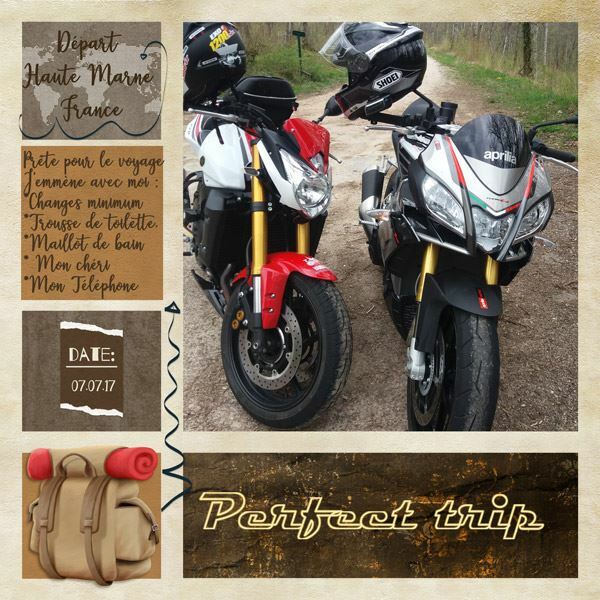 Our blog and social places are FULL O' FREEBIES. Scroll through previous blogs, check out our freebie boards on Pinterest and get free downloads nearly every single day at our Facebook Page. Our group is THE place to be. 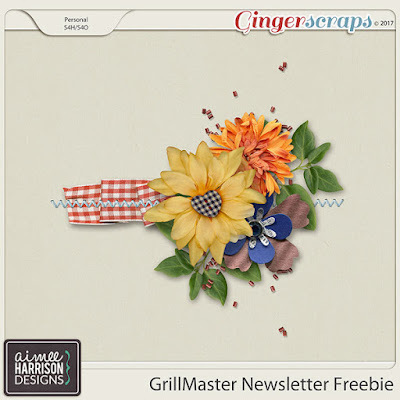 We give exclusive freebies, sneak peeks, the ladies share off their beautiful pages from designers all around DigiLand, you can ask scrap related questions and join us in scrap chatter. I'd like to thank you for checking out The Cherry and invite you to return. Howdy, Happy Scrappers and welcome to The Cherry On Top. I have got one doozy of a blog, today. Seriously, make sure ya have a bit of time to leisurely scroll though all of this scrappy goodness. It's going to be SO AWESOME! I've got a LOT of freebies from me and around the web, pages and pages of inspiration from our team and lively chatter in between. 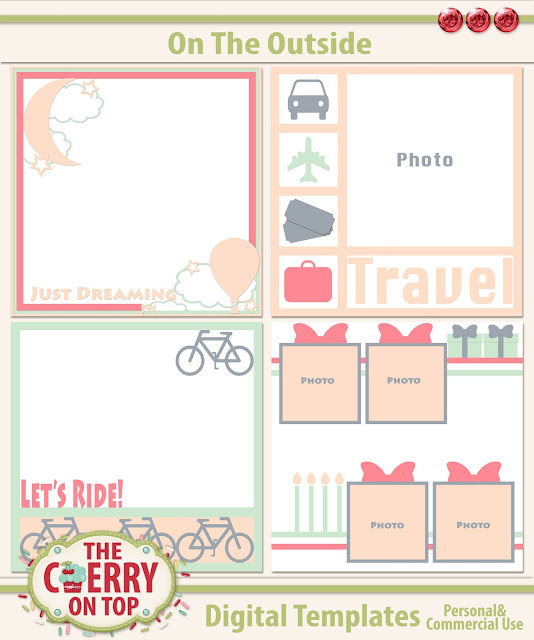 THIS TEMPLATE IS NO LONGER FREE, BUT YOU CAN GRAB THE ENTIRE PACK OF 4 COORDINATING, PROJECT LIFE STYLE TEMPLATES IN OUR SHOP, KREATIVE DESIGN STUDIO ON NOVEMBER 3RD. My boys just love Spain. They had so much fun at a little fair they put up, on the beach, right down from our apartment. Lovely weather and a chance to punch Peppa Big in the face! Hehehe...They were in heaven. Unicorns is a collection full of magic! 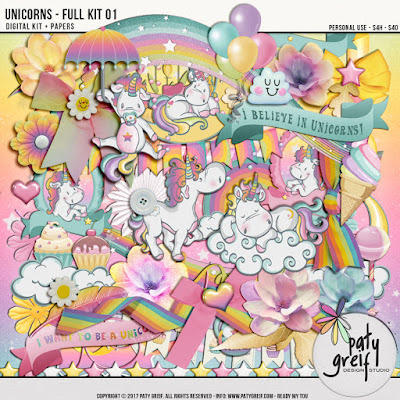 Rainbows, a lot of glitter, gorgeous flowers and adorable unicorns that you will want to take home or make a part of your digital stash. Think printables with these, peeps. 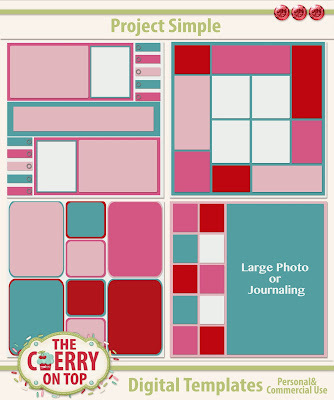 I'm thinking I'll design some coordinating planner printables if Paty doesn't get around to it first. So keep your eyes peeled if you're into planner inserts. Here's another new release from last week from Paty, Owl You Need Is Love showed off with our fabulously popular, Luv U 2 Pieces templates. Moving on to another fabulous designer, Kim Cameron Designs. She's got a nifty new kit out as well. 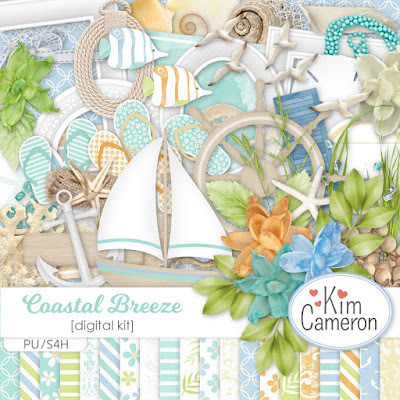 Coastal Breeze is full of Kim's usual goodness with a touch of realistic elements this time to soften up your pages and give them a naturally beautiful feel. If you're a Cherry follower, you may recognise the basic layout of these next two pages. I'm using our Project Simple templates. They are epically versatile and SO EASY to use, too. I'm feeling bit guilty at the 7.5 minutes it took me to do the page above, but I LOVE it so much. Tip: Merge the desired photo spots then drag in your photo of choice. 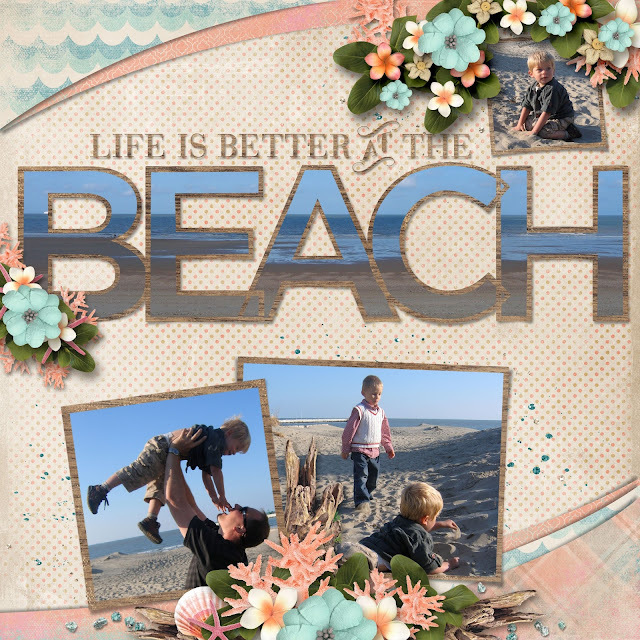 I added a large-ish cluster to fill in all of that gorgeous blue sky and added a simple sentiment, scrapped fast and so can you with Project Simple templates. The spaces in Project Simple templates can be used for journal cards, photos, papers and elements. There is so much you can do with them. I had so many photos to show off on our trip to the beach, that I needed all of those glorious spots for my pictures. My pictures are typically the star of the show with my embellishments adorning them and adding interest. Isn't this kit great?! Mmmm....I always love a beach kit! Have you still got 4th of July celebratory photos to scrap? 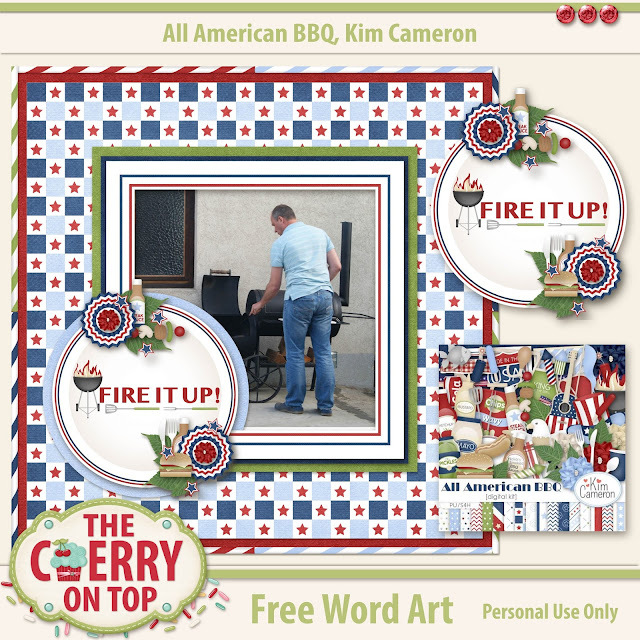 Check out Kim's patriotic kits. She's got a few in her shop. 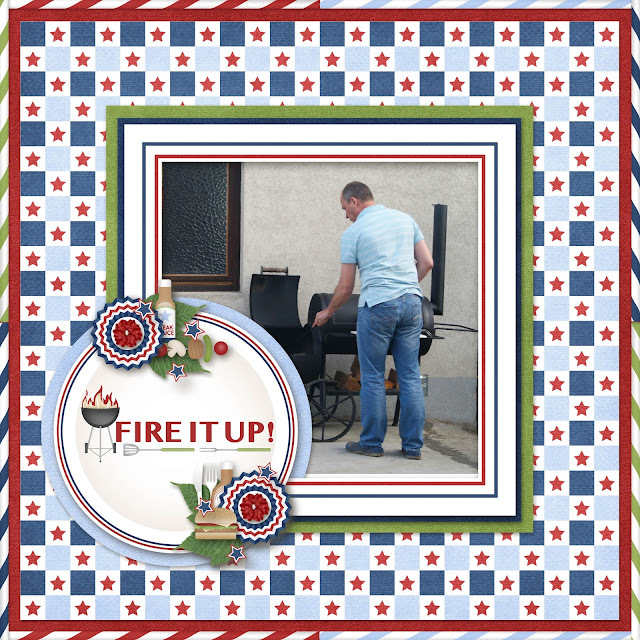 Here's one, All American BBQ. Ya don't have to be American to appreciate it. Hehehe...It's full of festive, colours and embellishments for any picnic or outdoor celebration. Free word art from Kim and I. Find it in her group on FB. This is how I used the free word art. That's my hubs and his new toy. 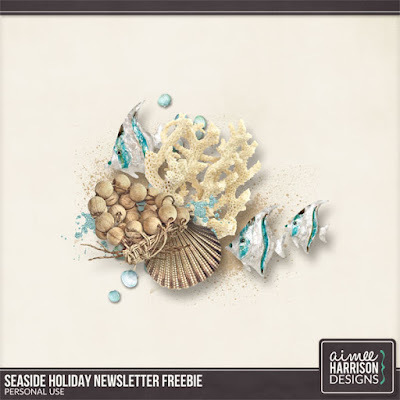 This is a free kit from MagsGraphic Designs you can grab in GingerScraps forum. 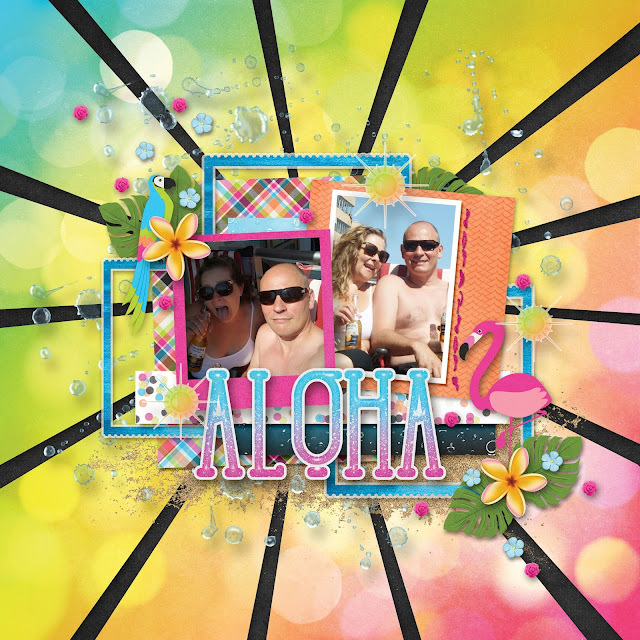 It's so bright and fun and can be used for any kind of page you wish to design. My gals did such a great job playing with my template, don'cha think? Hilary is an absolute star of a Creative Team Member. Just look at her fantastic page. Full of live, brilliance and summer fun. Of course, a kit from Flergs will always make your pages super pretty, too. Did ya see our newest collection in the shop? Dog Daze is nearly complete in it's entirety. 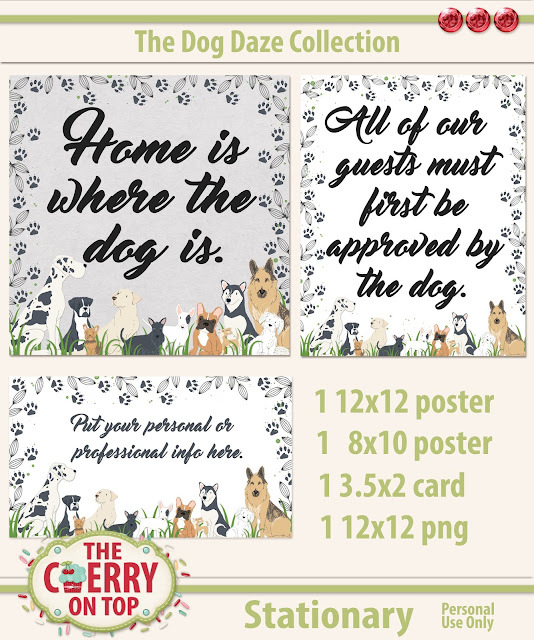 I've got so many different packs for you to use with your precious pooches and pups. 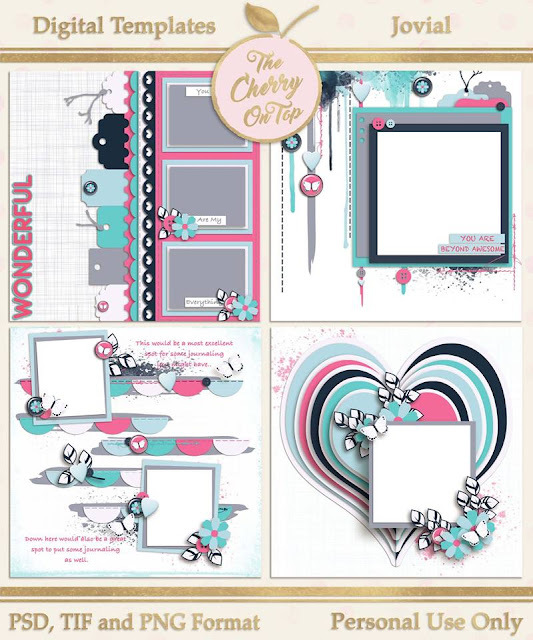 We had a blast in our Scrap N' Chat where the ladies who participated received a free portion of this kit as well as a free template. Join our group so ya don't miss out on these great opportunities for exceptionally wonderful free stuff. 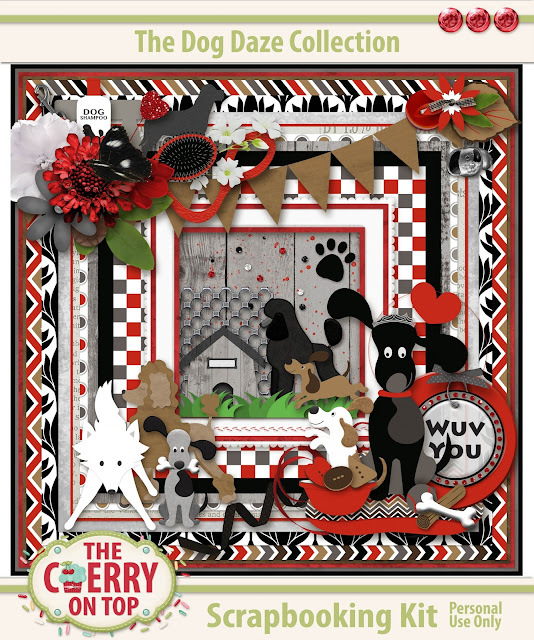 One of my number one Cherry Fans, played along in the Scrap N' Chat and made such a fun page with the kit and coordinating template. Ha! What adorably funny pictures! Thanks, Ruth for sharing! Here's a few other template packs in the shop and some inspiration to go with them. 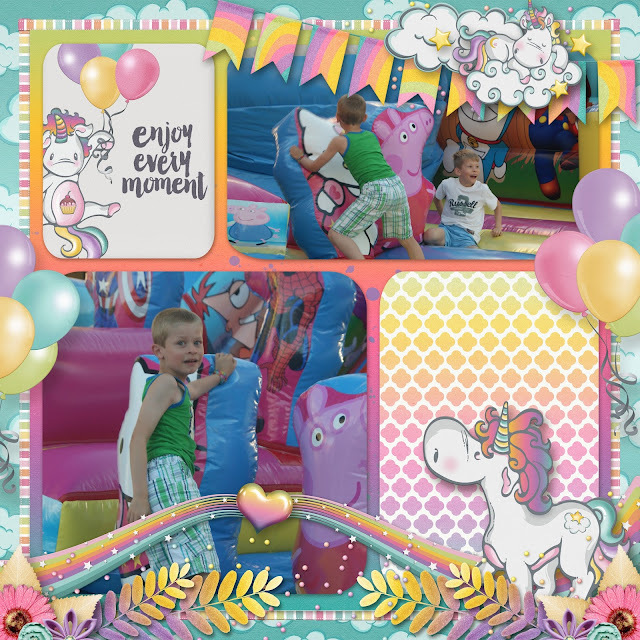 Check out a few other super freebies around DigiLand and if ya don't want to miss on daily free stuff then by all means, follow us on Pinterest, Instagram, our Page and especially, our group on Facebook. It's turning into a great community of chatter and inspiration. Studio Manu has absolutely gorgeous designs. 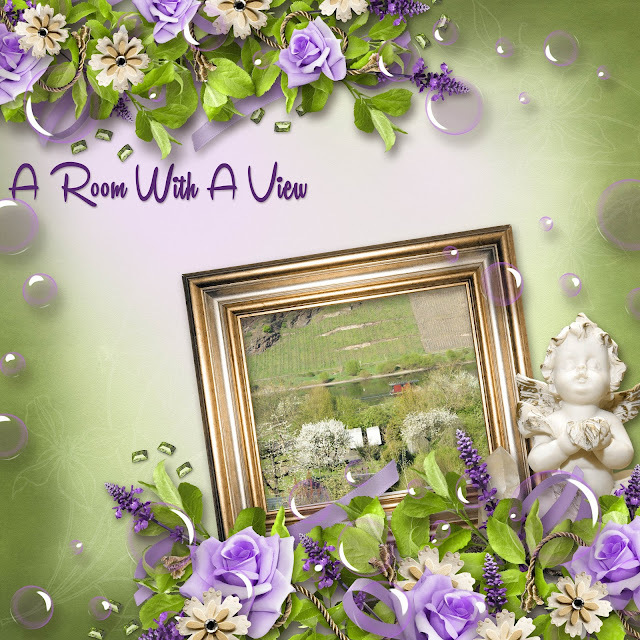 Check out her blog, Facebook and the newsletter that is always full of really amazing freebies, all of the time! 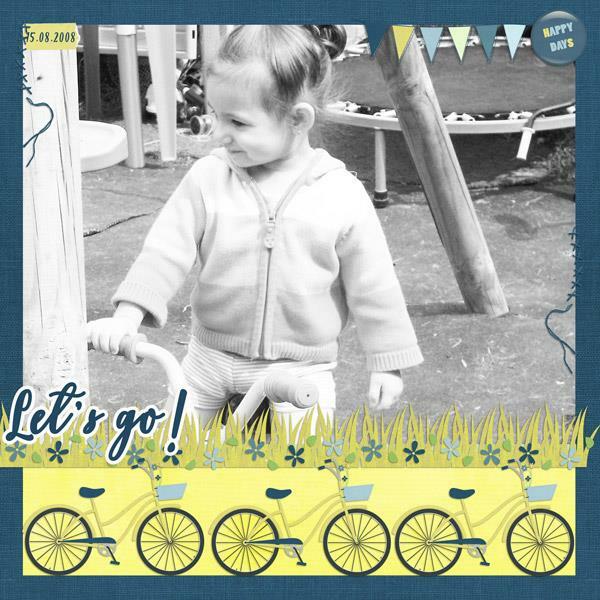 Go follow Designed by Gabrielle and keep up with her lovely designs and freebies from My Memories. How gorgeous is this? If ya follow, then you know I'm crazy about Aimee Harrison Designs. She's also a very generous freebie giver as well as stunningly talented. Looks at some of her latest freebies. These first two you will find in her newsletter. She also puts up a monthly free mini on her Facebook page and often has some freebies on her blog, too. Here are a couple more freebies from my awesome scrappy sisters, Jodi from Throwing Some Scraps Around and Dana from Made By Keuntje. They've got a beautiful, new collection out, You're My Lil' Boy. I went nuts with it already. 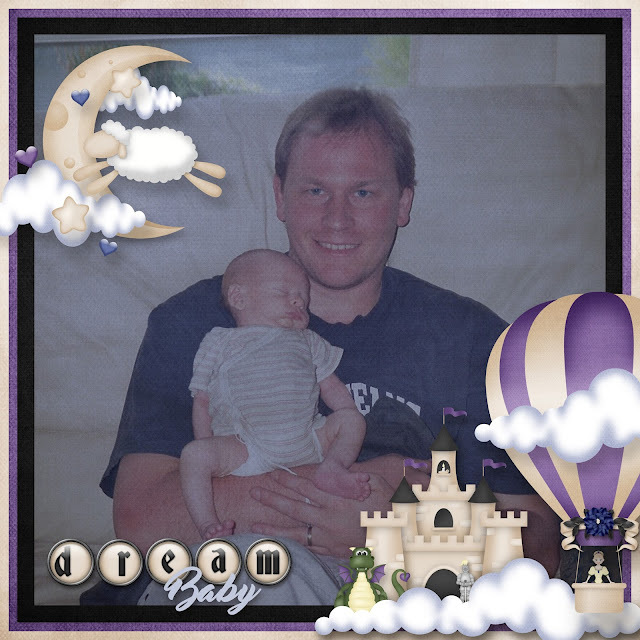 Click here to see our inspiration with the kit and get these nice freebies from Jodi and Dana's fan group. The images are linked up for you. Here's another Commercial Use freebie from Made By Keuntje. It will be on her blog TOMORROW. 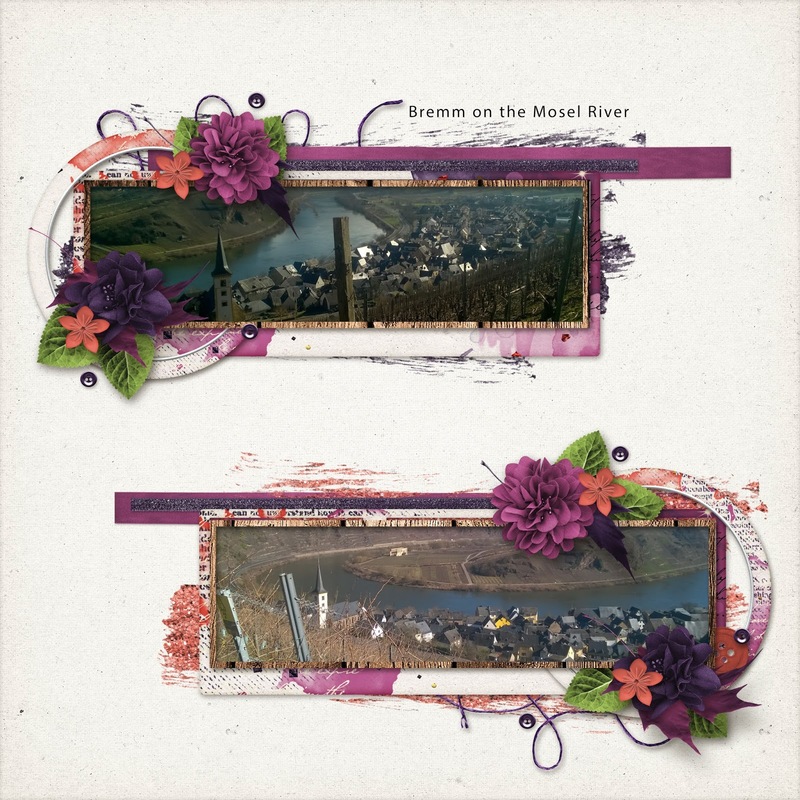 And the moment you've all been waiting for....our free download! Hehehe...Click here for the PAGE version. That was one huge blog full of greatness! Thanks so much for dropping by The Cherry. We hope you do it, again.